Cut from the finest silk, these boxer shorts have a rich texture and elegant finish. We achieved our new modern fit by removing excess fabric to create a more streamlined shape, while ensuring that the boxer shorts remain comfortable. The traditional back panel is replaced with a flat fell centre seam, which encloses the seam allowance for minimal skin contact. The waistband is also simplified with the addition of a self-seeking magnetic fly closure, while retaining the full fabric covering. Leg seams are curved, with vents secured at the sides to ensure longevity. 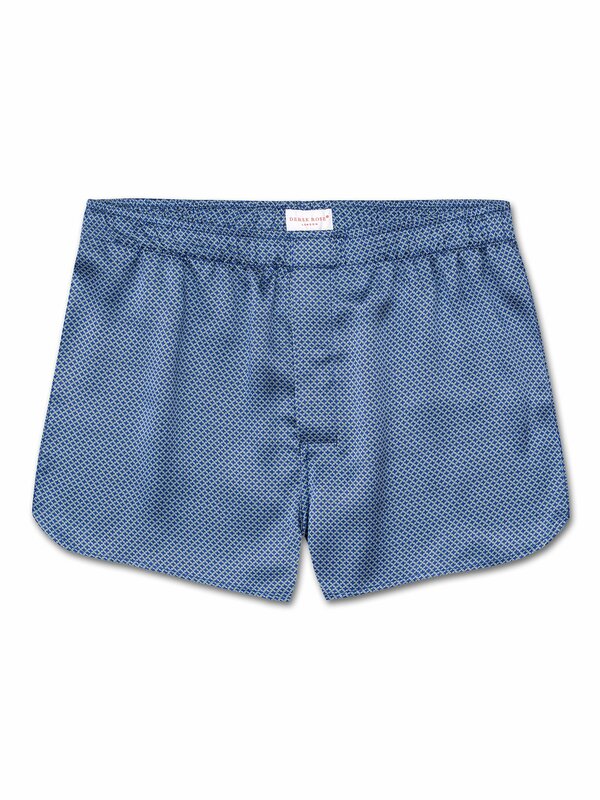 Want to know more about our modern fit boxer shorts? Read all about them here. In the photo, the model has a 32 inch waist and wears size M.